Shop the FRINGE Love-You-Love-A-Sale Sale. Don't you LOVE a good sale? FRINGE has one going on this weekend. Both today, and Sunday, you can take 15% off body care items and candles. Even lovelier, is a gorgeous piece of jewlelry from the FRINGE designer jewelry selection. 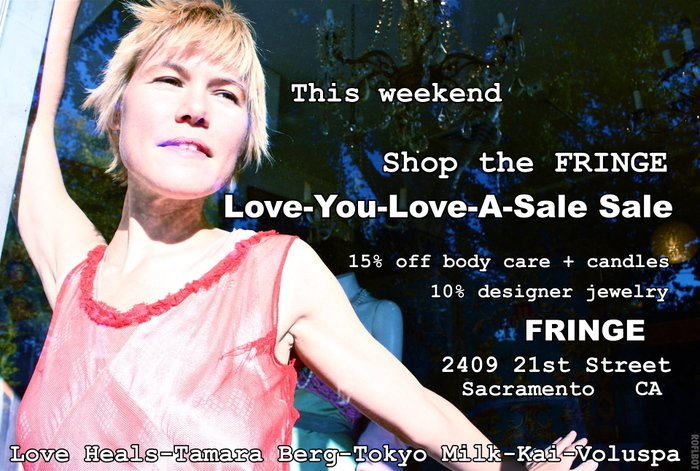 The designer jewelry is 10% off this Valentine's week-end so stop by and show some love. You can get more details on sale at the FRINGE blog, Fringeologie.